We are Under Lucky Stars. 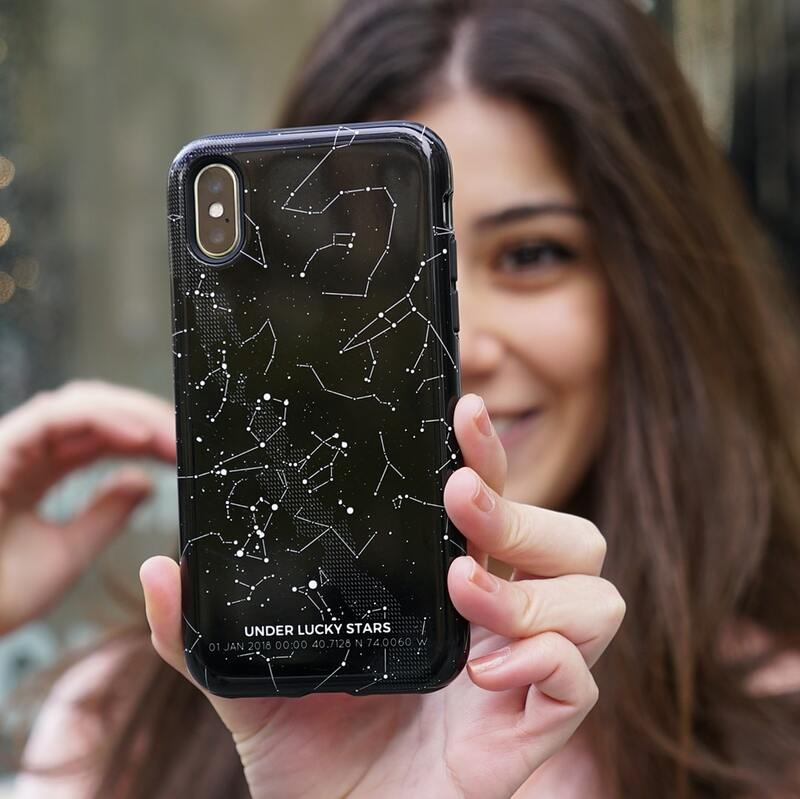 We make beautifully designed star map phone cases that show the unique alignment of the stars in a place and time chosen by you. Your first date, your first kiss, your engagement... the stars never look the same twice. 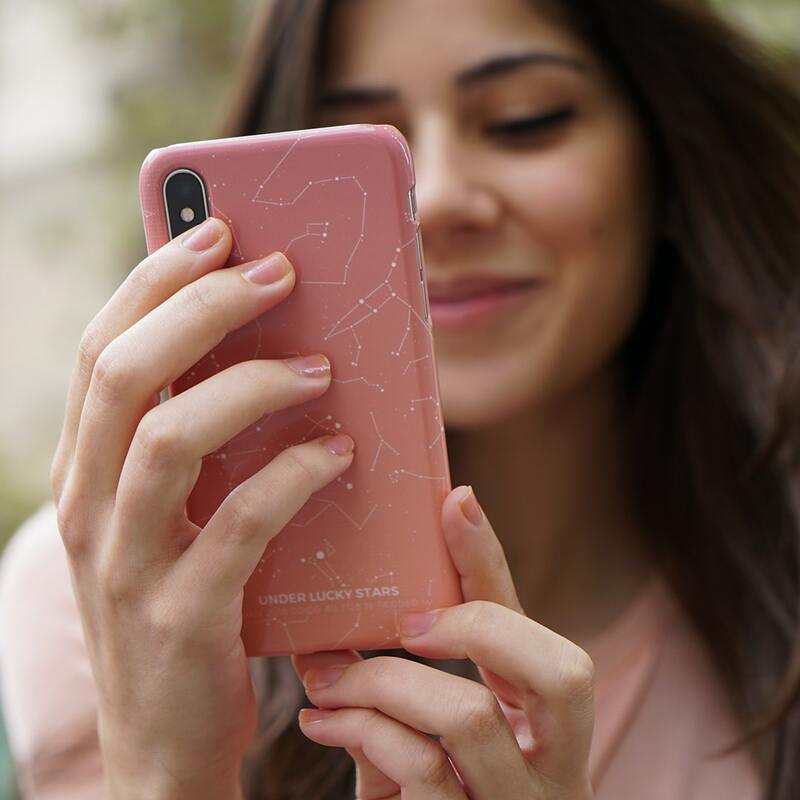 Protect your most personal device with the most personal cover. cooper_calligraphy Thank you @underluckystars for these gorgeous personalized iPhone cases! mel1156 Love this gift! The star alignment the day/location Zoe was born💕 @underluckystars! Girlfriend loved it! She was blown away. Our first night together was under the stars on the beach. It turned out perfect. Amazing!! This was a gift and I couldnt be happier with it. Excellent service and quick delivery! Exactly as ordered! Choose your favorite design, add custom title and footnote. Pick the Snap Case for slimmer design or the Tough Case for better protection. I love these, how much does it cost? All cases are custom made for your specified special date, with your choice of text. The slimmer Snap Case costs $35 with free shipping. The stronger Tough Case costs $45 with free shipping. Currently we support all iPhones starting from 7, as well as Samsung Galaxy S9 and Google Pixel 2. We'll be adding more models in 2019. If your model is not covered, you might be interested in our gorgeous star prints. To the US, the EU and Australia we estimate 7-10 calendar days, to the rest of the world 10-21 days. 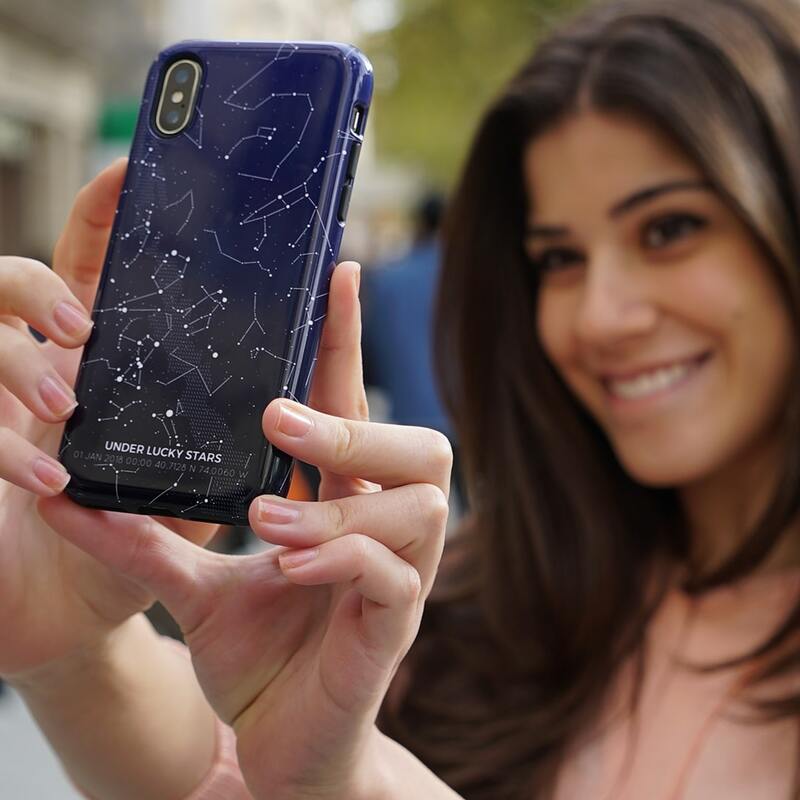 You can design, preview and order your beautiful new phone case on our website. Click here. Leave us your email and we'll remind you.